David Krut Projects is pleased to present Unsettled: One Hundred Years War of Resistance by Xhosa Against Boer and British, an exhibition by acclaimed South African photographer Cedric Nunn. 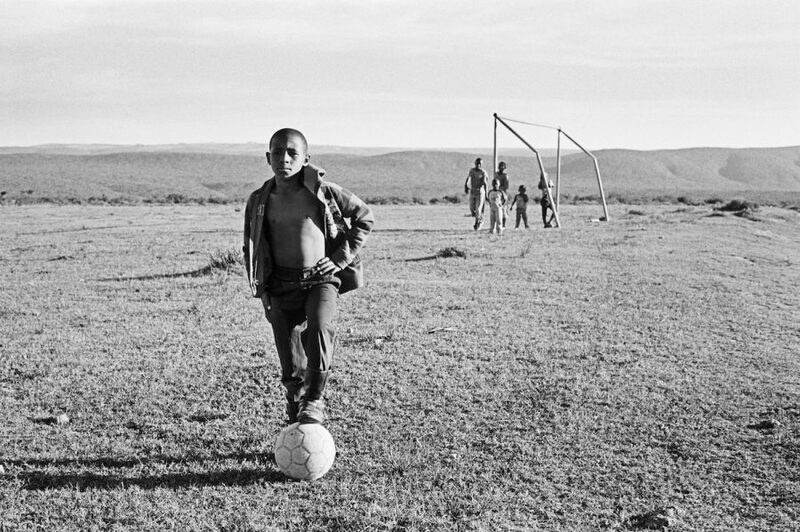 Nunn, who is best known for his photographs taken during apartheid, aims to instigate social change and highlight lesser seen aspects of society with his photography. Made up of sixty-one silver-toned, hand printed photographs, this exhibition deals with the nine wars that Xhosa people were subjected to between 1779 and 1879 in their fight against Afrikaner and British colonial settler forces. It will be exhibited in the US in collaboration with Wheaton College, Beard and Weil Galleries and Rhode Island School of Design, Benson Hall. “The South African landscape is drenched in blood. From its inception when the coast was navigated by in particular European nations; Portuguese, Dutch, French and English, repeated violence has been visited on the inhabitants of this land. At first, the Cape was seen only as a refreshment station by the various marine enterprises. Later it was understood that this port was of vital importance in controlling the trade route on which it lay. “It then became increasingly clear that to occupy the Cape meant being involved in the interior, and indeed occupying that as well. So, after the violent settling of the Cape and the rapid expansion of settlers into the interior, these clashes, which had resulted in genocide against the San and Khoi, encountered the Xhosa of the now eastern Cape. This clash of civilisations, was to result in a conflict which lasted one hundred years. “This essay looks at the land, which was occupied, desired, defended, lost and won. In it we see both the uses and states it is to be found in today, both by the victors and the vanquished. We are able to imagine the heroism and the misery it inflicted on its actors as they either defended or attacked. We see too, how little of this memory is commemorated or honoured. We see the smug vanquishers, and the vanquished. We see the continuing collaborations, which have always been necessary to maintain the status quo. We see the beauty, which stirred the souls of the inhabitants and the lust of the invaders. Archipelago Press, New York have published a book to accompany the exhibition with texts by Zakes Mda, Jeff Peires, and M. Neelika Jayawardane. The book is $36 and available for purchase through the gallery. September 22, 7 pm: Artist’s Talk, Metcalf Auditorium in the RISD Museum. This talk is part of the T.C. Colley Lecture Series. Cedric Nunn will be in New York for the opening at the gallery, and following this will spend three weeks in the US undertaking speaking engagements at universities including The University of Virginia, Georgetown University, Rhode Island School of Design, Wheaton College, Indianapolis University, State University of New York-Oswego, Yale University, and Rutgers University. Made possible through the support of a Mellon Foundation Scholarship and Galerie Seippel, this exhibition launched in Grahamstown last year, and has since also shown at the University of Stellenbosch Galleries, at Unisa Art Gallery in Pretoria, the Wits Art Museum, Johannesburg and The Kwazulu Natal Society of the Arts, Durban. The exhibition traveled to Germany in July, 2015 before coming to the US. Two books have been published to accompany the exhibition, by Archipelago Press, New York, and Wunderhorn, Heidelberg, Germany.